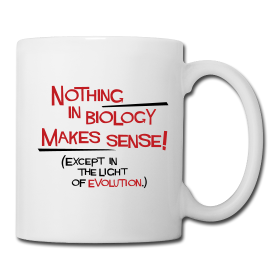 July « 2012 « Nothing in Biology Makes Sense! This post is a guest contribution from James Gaines, who lives in Seattle, Washington and holds a Bachelors in Biology from the University of Puget Sound. James writes about natural history at The Glyptodon and is part of a fiction group at now we have to go to the hospital. He’s currently looking into science journalism graduate programs. If you’d like to write a guest post for Nothing in Biology Makes Sense!, email Jeremy. 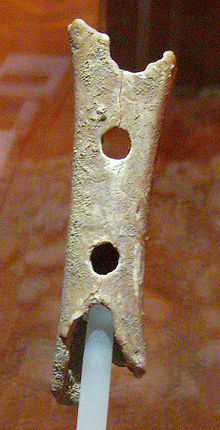 The Divje Babe bone is old, tens of thousands of years old, a shade less than a foot long and somewhat ugly. Its surface is mottled and rough. It is obviously the fragment of a larger piece – cracks run down its length and the ends have been snapped off. The incompleteness of the thing seems enhanced by two holes in the middle of the bone’s length. But these holes are different. They stare out like eyes, identical in size, perfectly centered, and perfectly artificial. It takes you a moment, but then you see. It’s a flute – 42,000 years old. Music is one of the few social constructs that truly permeates human culture, and reasons for this have fascinated scientists and philosophers for centuries. 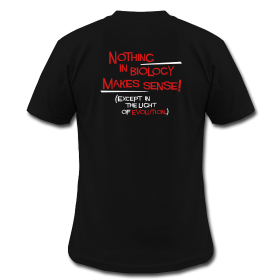 Even Darwin himself wrote on the subject, speculating about whether and how natural selection could explain it. Today, there seem to be three major ideas behind why music evolved. These are not the only ones, but are the most prevalent. This post is a guest contribution from John Stanton-Geddes, a postdoctoral associate in the Department of Plant Biology at the University of Minnesota. John currently studies the genetic architecture of legume-rhizobium symbiosis in Medicago truncatula, as part of the same lab group as NiB contributor Jeremy Yoder. Two weeks ago I was fortunate to attend the Evolution Society Conference in Ottawa. I saw many great talks, missed even more great talks and had the opportunity to hobnob with many luminaries of evolutionary biology. One theme that emerged through the meeting was “The genetic basis for [insert trait here]. While this goal of mapping phenotype to genotype has been a primary goal of many evolutionary ecologists since the first QTL mapping studies, it has recently come under strong criticism, notably in a fantastic paper by Matthew Rockman in the journal Evolution last year, but also by Pritchard and Di Rienzo 2010 and in a forthcoming article by Ruth Shaw (full disclosure: Ruth was my PhD advisor) and Mike Travisano. Here’s my take on the current state of Genotype to Phenotype (G-P) research from Evolution 2012, and where I’m excited to see it go. From Jeremy: Why do certain papers in certain journals get more citations? Citation concentration may be due to several factors, including a green beard. The neat thing about a green beard is that it’s not a signal of intrinsic “quality” or “fitness”. A green beard doesn’t make you more fecund or long-lived or etc., nor is it a signal that you have other traits making your more fecund or long-lived or etc. A green beard is an arbitrary signal, and is only favored because everybody else with green beards favors it. From Devin: Tom Houslay gives a multi-part recap of the Evolution meeting, going over some of his favorite talks. From C.J. : The coolest picture you’ll see of trees all day (maybe all year)! Also from C.J. : From the Anole Annals: Ecomorphs converge on suites of correlated traits. In other words: is convergence in form across islands reached by evolving the same sets of characters in a similar manner? Do all trunk-ground ecomorphs, for example, achieve relatively long limbs by growing both the femur and the humerus (i.e. 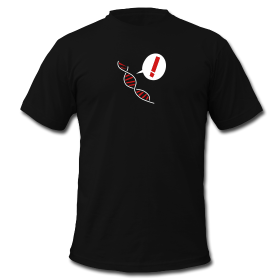 those traits covary together)? Or do some trunk-ground anoles achieve long limbs by only growing the tibia and the radius while others grow the femur and radius etc.? From Noah: Fertilizing the ocean with iron helps fight global warming. When dumped into the ocean, the iron can spur growth of tiny plants that carry heat-trapping carbon to the ocean floor when they die, the study said. Scientists dumped seven metric tonnes (7.7 tons) of iron sulphate, a vital nutrient for marine plants, into the Southern Ocean in 2004. At least half of the heat-trapping carbon in the resulting bloom of diatoms, a type of algae, sank below 1,000 meters (3,300 ft). Also from Noah: Take a break from your crappy desk with the Puffin Loafing Ledge. From Sarah: The thieving nature of rodents may recreate the roles of extinct herbivores in seed dispersal. One of the seeds passed through the paws of 36 agoutis – half-metre-long rodents common in the forests of Central and South America. The first agouti to get to a seed carried it an average of 8.75m from its parent tree. But after repeated burials and disinterments – usually by different agoutis – it ended up an average of 68m distant. Also from Sarah: Globally speaking, how fat are you? And a little more food for thought from ye olde advisor, Bryan Carstens: The importance of supporting scientific societies. Memberships in societies (e.g.,Sigma Xi) really do directly give back to your community, in addition to getting you a journal. Subscribing to and publishing in SOCIETY journals (e.g., Evolution, Genetics,Journal of Heredity) brings money back to your students, colleagues, and community, whereas publishing in NON-SOCIETY journals often fails to do so. Similarly, attending SOCIETY meetings potentially gives flexible funds back to an organized group with similar goals, whereas attending other meetings only does so indirectly, if at all. If anyone knows how a puffin gets this many fish in his bill at once, please let me know. Have you ever thought that the images on the Nothing in Biology Makes Sense! header would look great on tee-shirts? Well, we did—and now you, too can own a stylish American Apparel tee shirt, or a sturdy coffee mug, printed with our icons and the slogan we’ve shamelessly appropriated from Theodosius Dobzhansky. 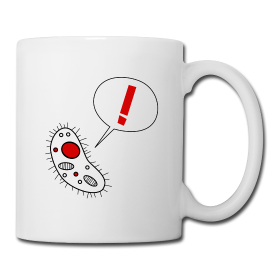 You can choose from black or red shirts with the dinosaur, bacterium, glassware, and DNA helix icons on the front, and all with the slogan on the back; or mugs with either the bacterium or the slogan text. Head on over to custom-printing site Spreadshirt and order a shirt or three. Proceeds will go towards the (small, but nonzero) costs of maintaining this site, so thanks in advance for ordering! 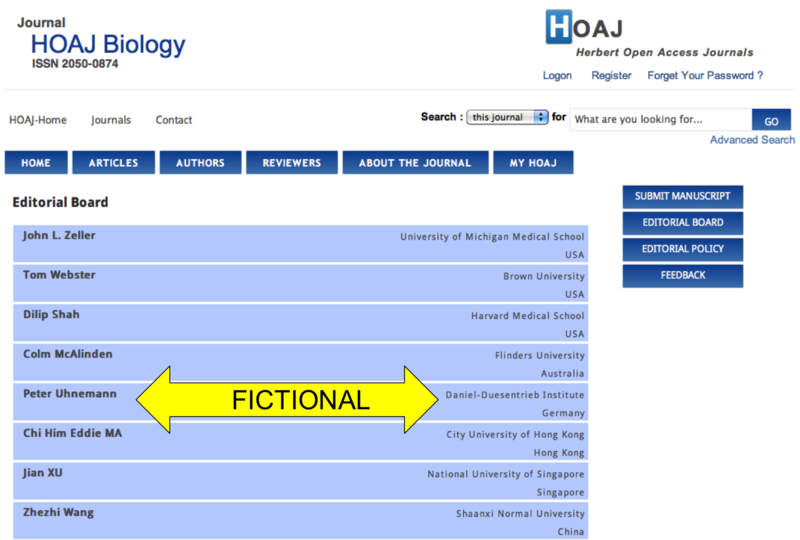 For much of the last week, I have been looking for a solid reason to either go ahead or not ahead with a manuscript I submitted to HOAJ Biology, a journal I later discovered made Beall’s List of Predatory Open-Access Publishers. There were many good reasons, in my mind, to just do it – it was peer-reviewed, my article and software are sound (though a minor contribution) and I would like closure on this project I finished a year ago. It turns out, there are some even better reasons not to publish with this journal. First and foremost, there is a FICTIONAL PERSON on the Editorial Board. So, I am retracting my submission and going instead with either arXiv or figshare, which are non-peer reviewed, but citeable places to deposit research articles and/or software. There are technical aids to finding the right journal in which to publish (like http://www.edanzediting.com/journal_advisor) but in the end one still needs to make a personal judgement about how to weight the many different factors. And while I am personally a strong advocate for gold OA journals, paying for publication upfront does require us as researchers to be more informed about the choices – library subscriptions no longer keep the low-quality publishers out of the market. In the future, if you are trying to decide among OA publishers, members in the OASPA (http://oaspa.org/membership/members/) is generally a reliable indicator of being on the up and up. So what to do if you say no? If you aren’t interested in sending it to a more reputable outlet for minor contributions (like, say, BMC Research Notes), you could simply post it as a technical note on your website (a very common thing in CS) or on a preprint server like Figshare. We’ll support you whatever you decide. Last summer, I worked with NESCent and Google’s Summer of Code to write a small piece of software. I think it’s quite useful for the specific thing it does and some researchers in my immediate peer group who have used it agree. I wrote up a short manuscript describing the program and very quickly got it rejected from Molecular Ecology Resources and Bioinformatics. It went on the back burner for several months until I got a solicitation from a new open-access journal that was offering a discounted rate for articles received before a certain date. So I submitted to this journal, after looking up some of their papers and a few people that have published there and convincing myself it wasn’t a flat-out scam. One day after I submitted, I got an email asking me to review my own article. I know, right? How could that ever happen with a legitimate journal? I declined, they sent it to others to review and about a month later I got three reviews back that were short (0.5 – 1 page), but addressed real questions about my manuscript and included helpful suggestions. I incorporated the changes as best I could and resubmitted. About a week after the resubmission, I saw Beall’s List of Predatory Open-Access Publishers, which includes the aforementioned journal on the list of “questionable, scholarly open-access publishers”. The author of the list says: I recommend that scholars not do any business with these publishers, including submitting articles, serving as editors or on editorial boards, or advertising with them. Also, articles published in these publishers’ journals should be given extra scrutiny in the process of evaluation for tenure and promotion. 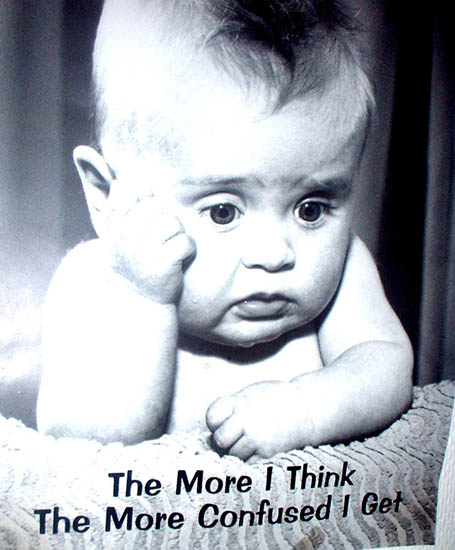 Then, this morning, I got final acceptance of the manuscript and I’m not sure what to do. I’m not trying to pull one over on anyone and I don’t necessarily disagree with the above text, but I don’t think this paper will be able to go anywhere else and I’m not convinced this journal is Bad. Not a lot of places publish small pieces of discipline-specific software (if you know of any, let me know). 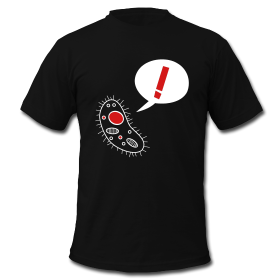 I believe this would be a really useful tool for some biologists and in fact, there are a couple of people waiting to cite the manuscript. I don’t want to encourage predatory journals, but open-access articles that do not-super-important science might actually have a place in our field. I would LOVE thoughts on this. I certainly don’t view this manuscript as equivalent to a Molecular Ecology or Evolution publication – but do all pubs have to be top (or middle) tier? Is there a solution here, like including impact factors on CVs? Or maybe new fangled software like Google Citations can alleviate this problem since they show the overall publishing record of an individual/article? Please weigh in!